daughter has now outgrown it. 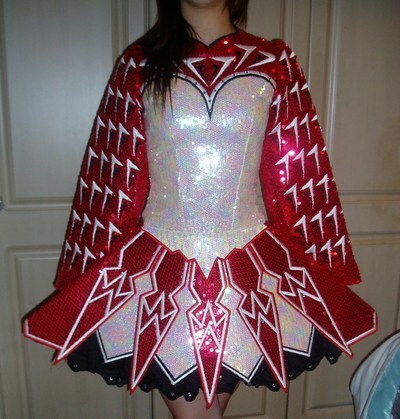 Made entirely of red & white sequins. This modern five panel dress has a fabulous stage appearance. Accentuated with black stitching & black lace trim. 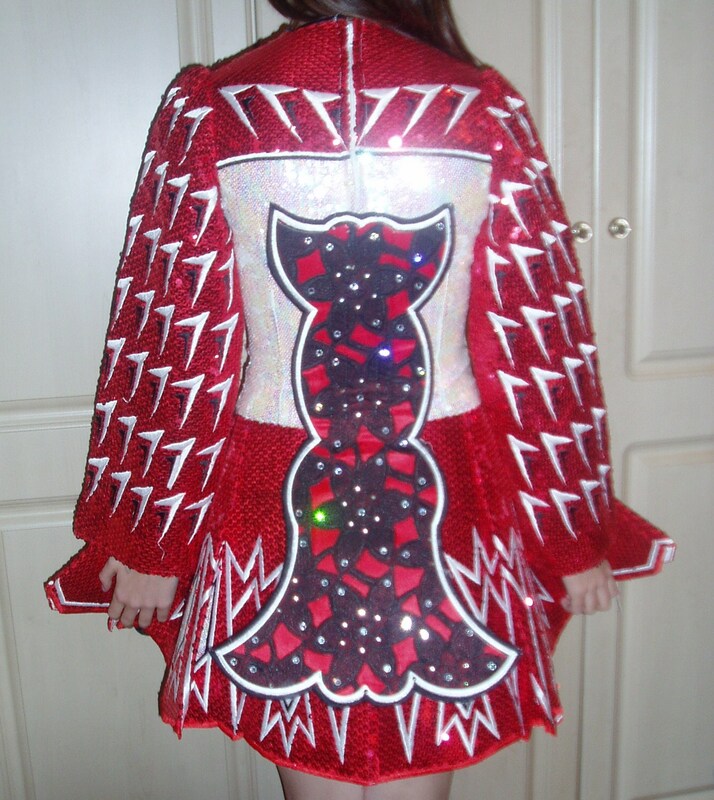 This dress also has Swarovski crystals for maximum glitter effect. 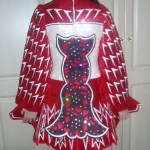 Comes complete with red/ white polka dot lining & bloomers, tiara.